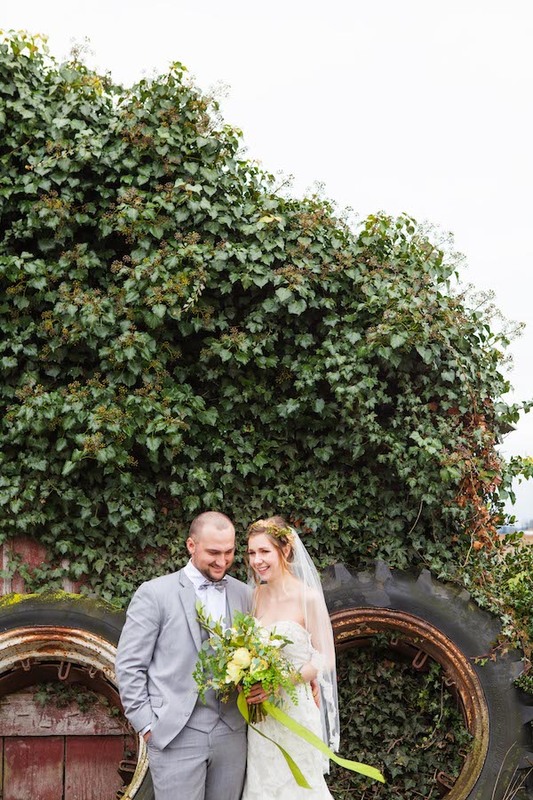 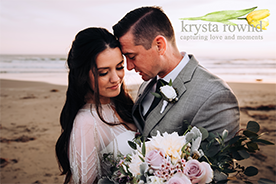 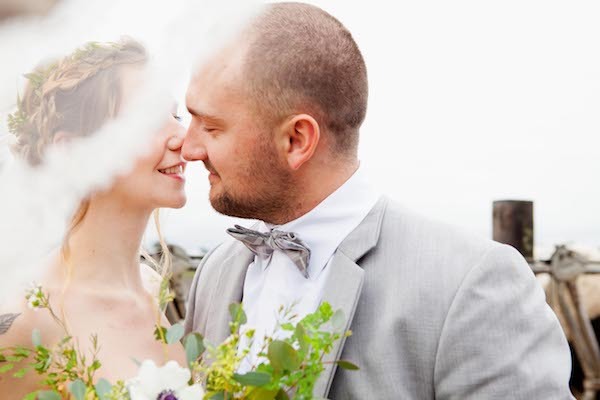 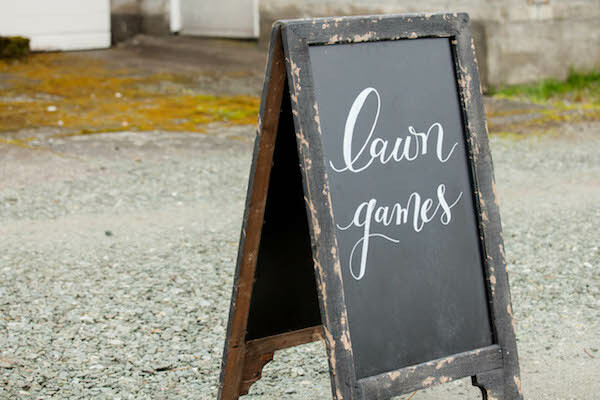 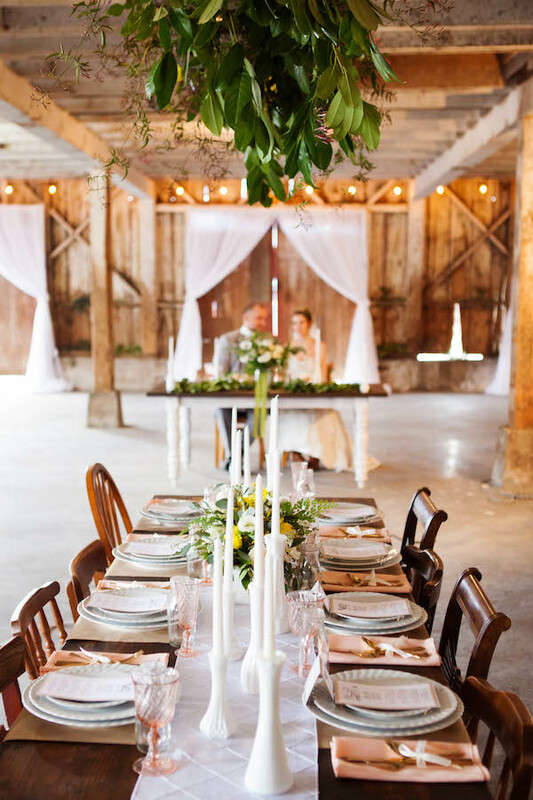 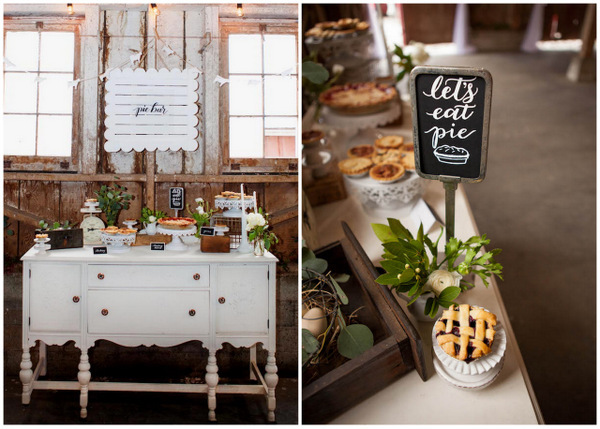 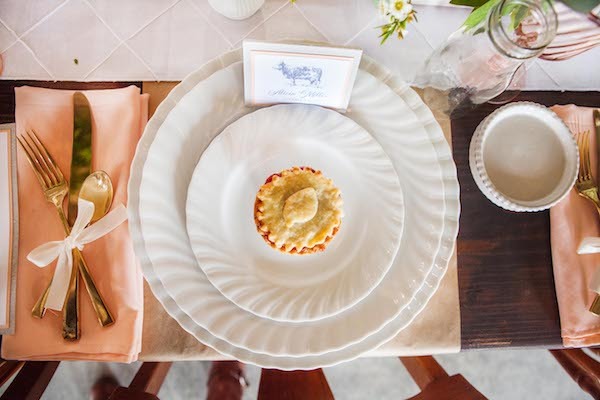 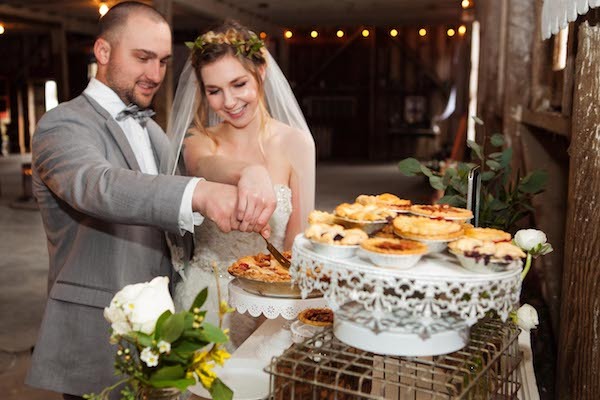 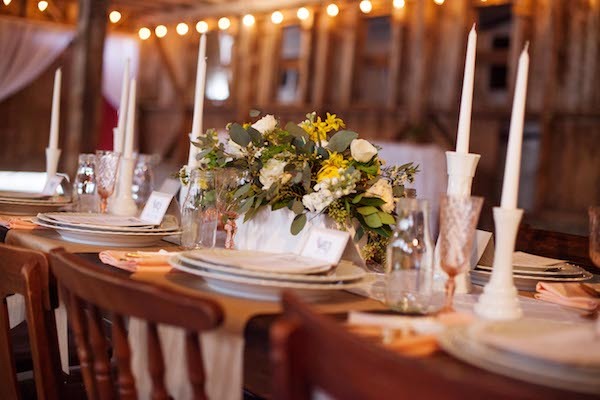 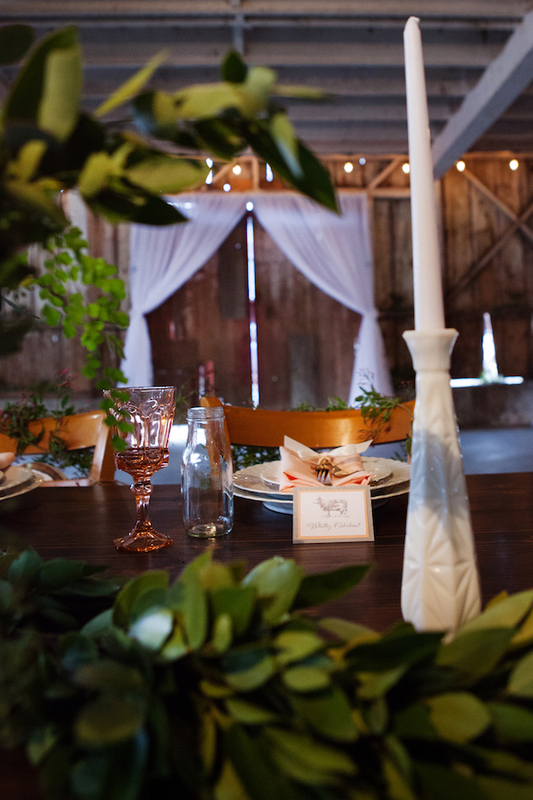 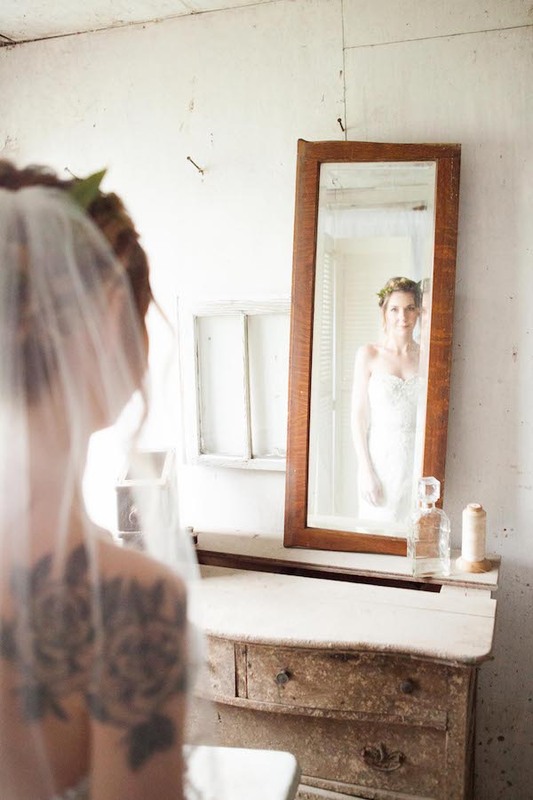 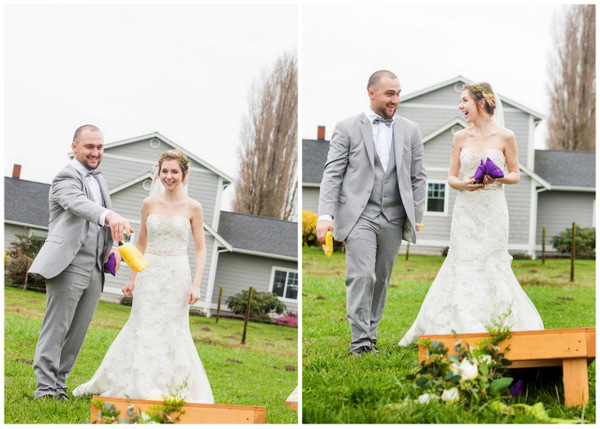 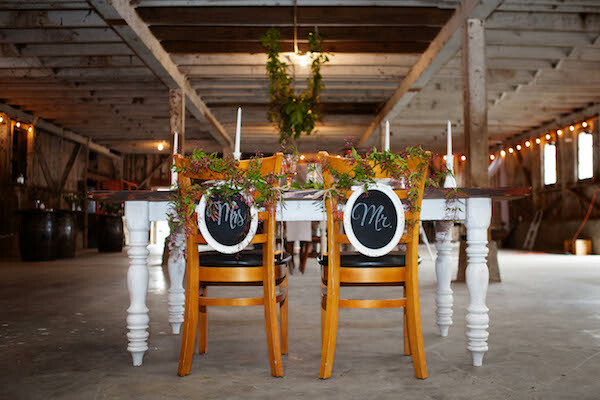 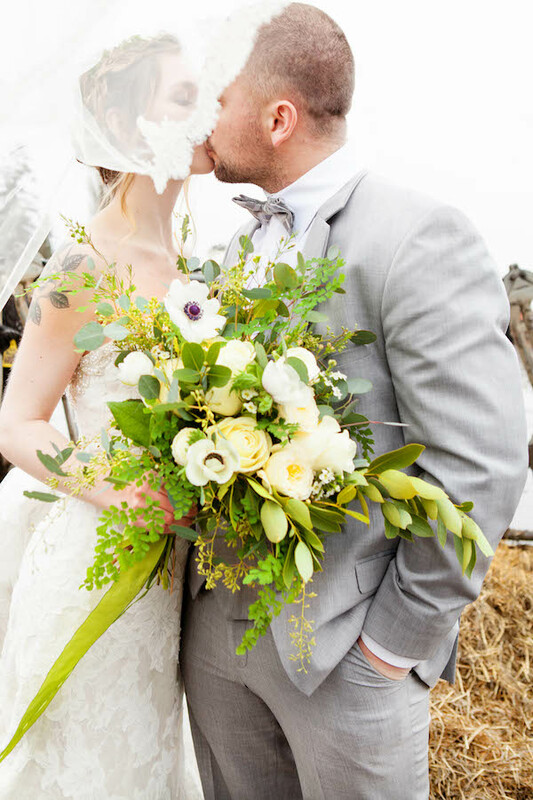 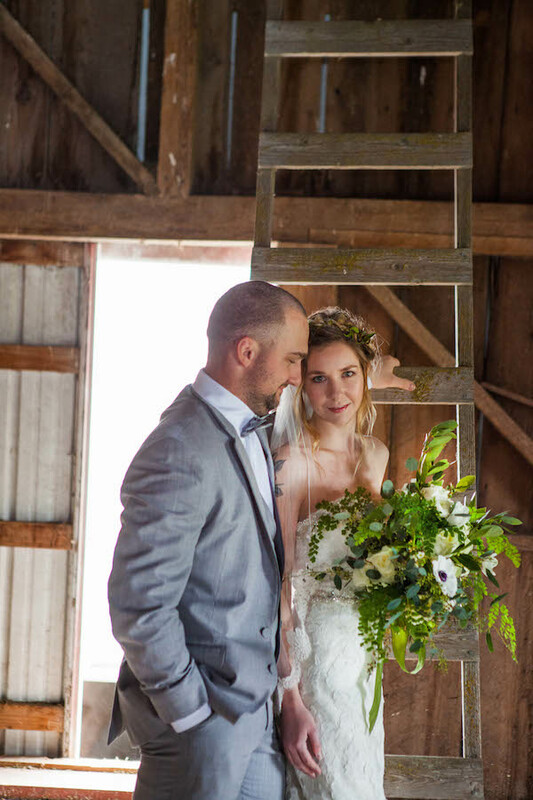 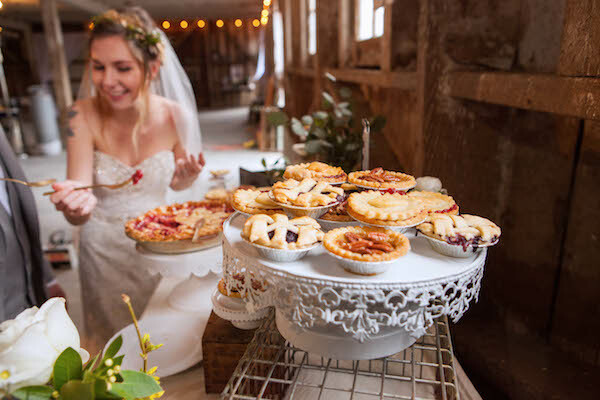 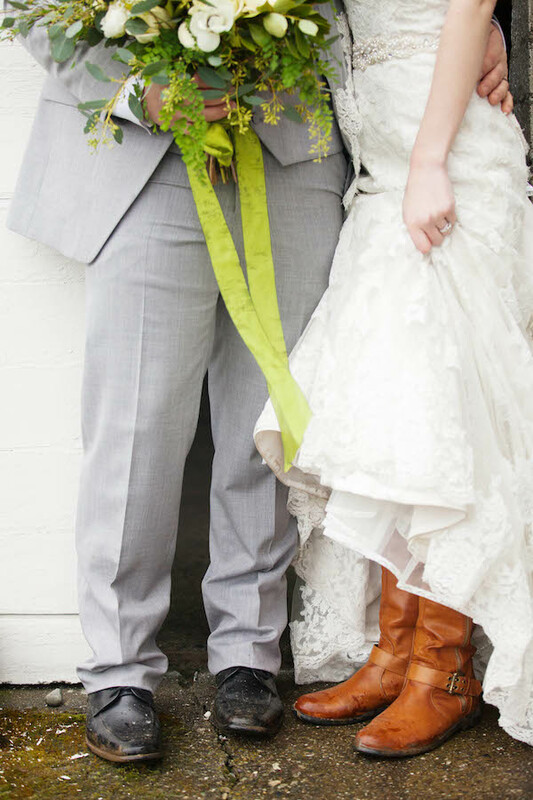 Rustic weddings are venturing to a whole 'nother level, and we can't get enough. 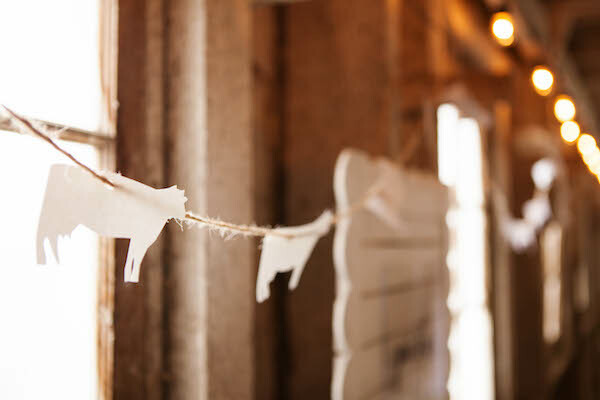 First, there was burlap and twine. 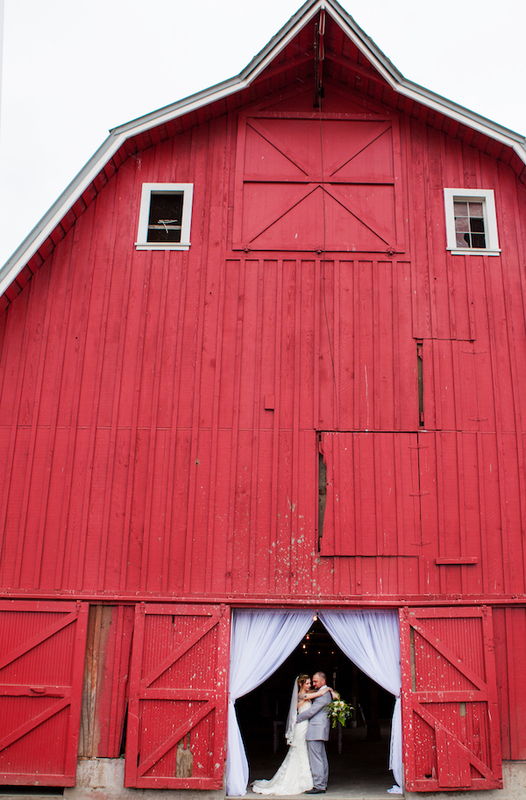 Then throw in some lace and hay bales and call it a day. 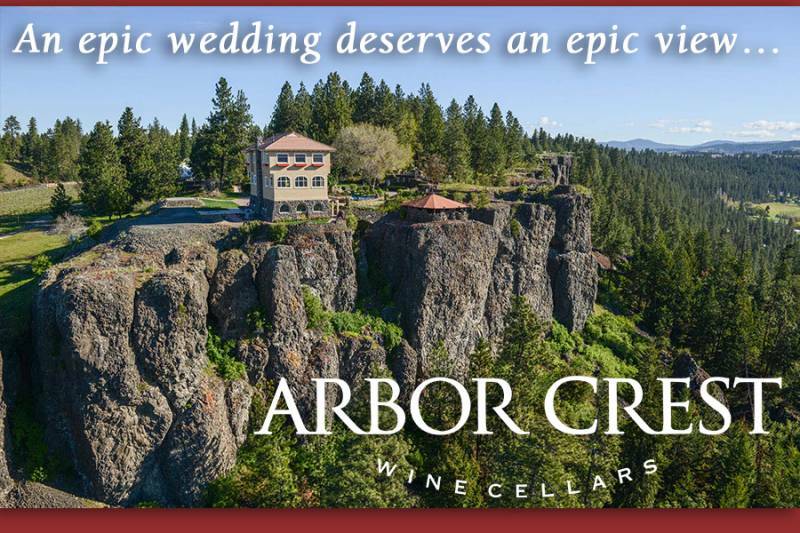 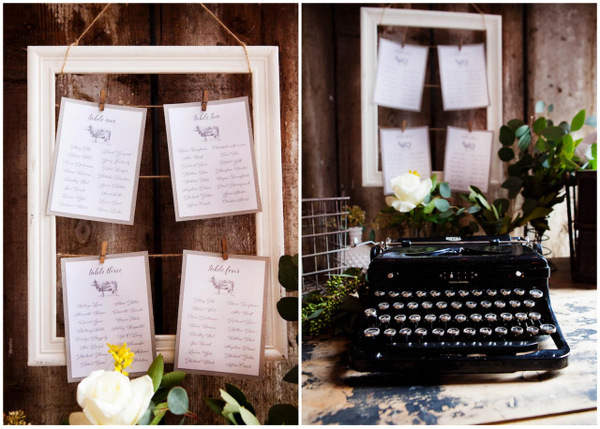 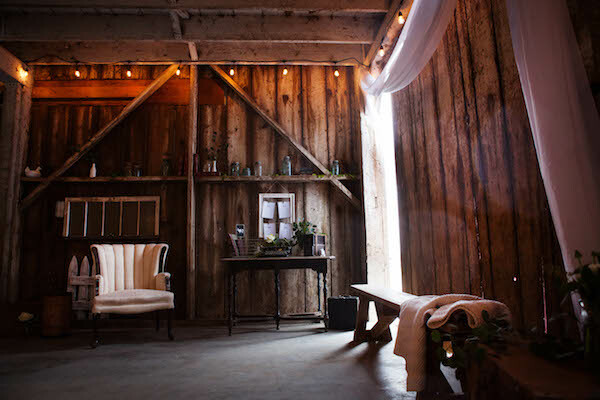 But today's rustic weddings are stunningly subtle. 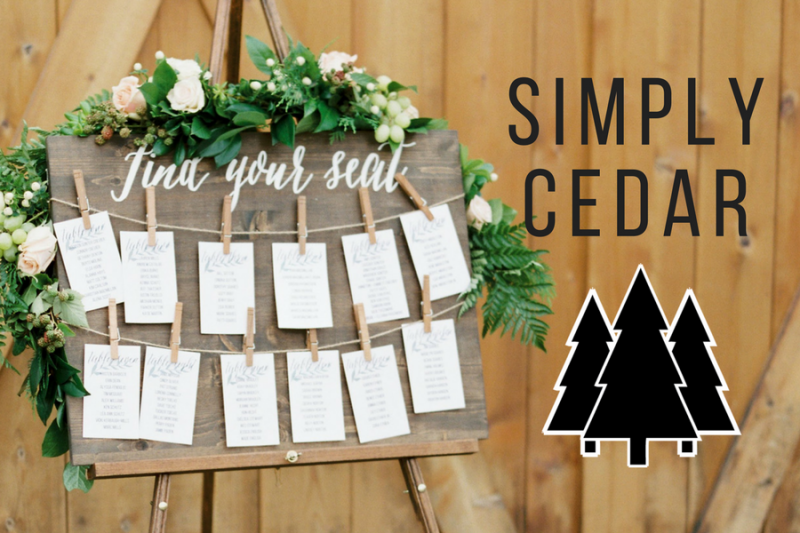 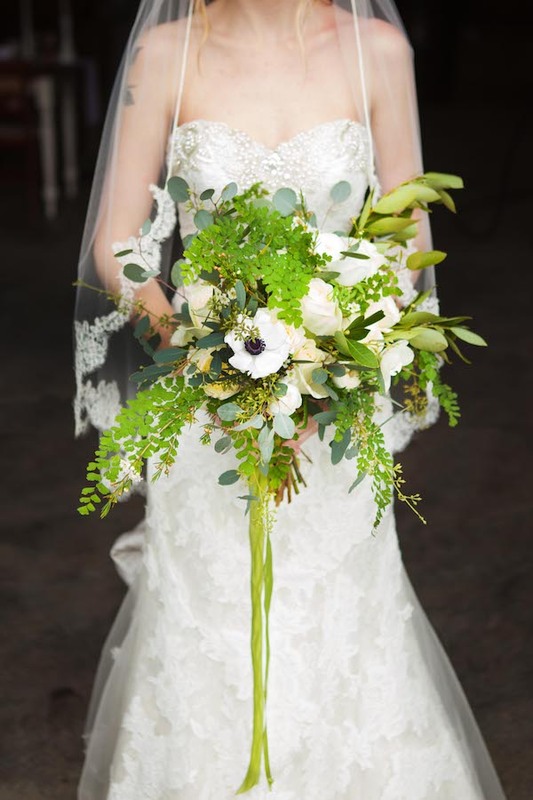 Featuring naturally worn wood, vintage glass bottles, and lots and lots of greenery, we see the modern rustic wedding trend sticking around for quite awhile. 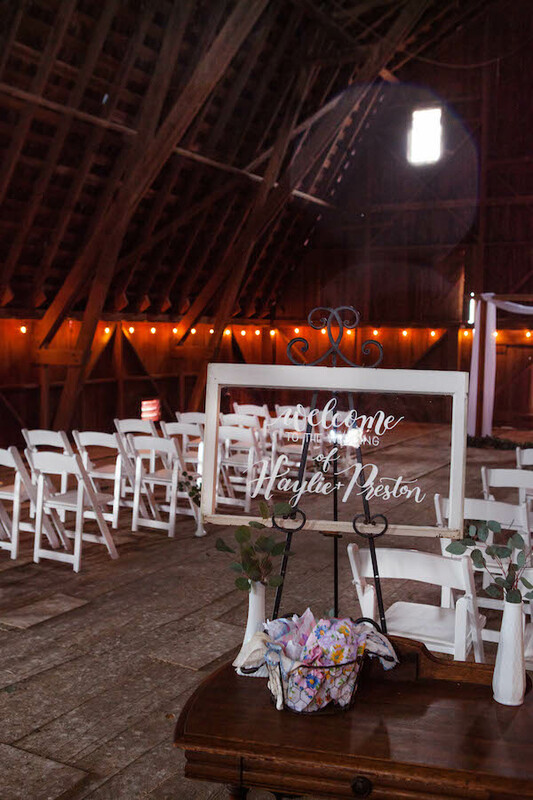 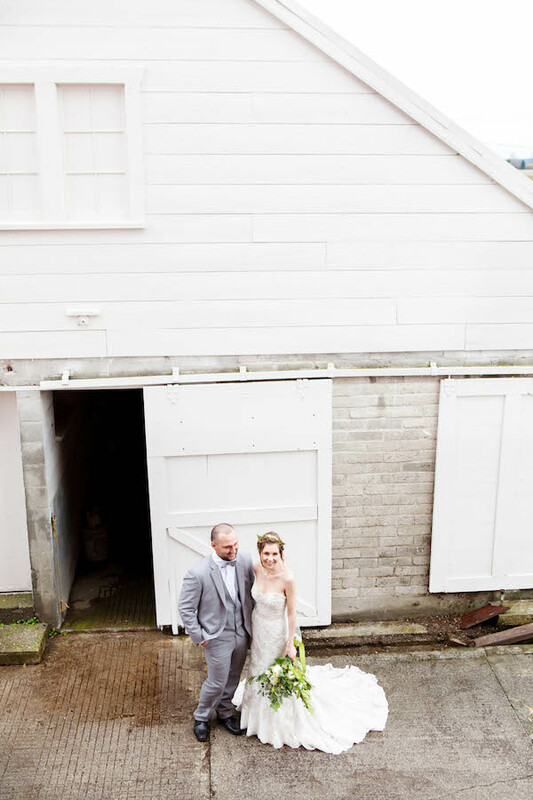 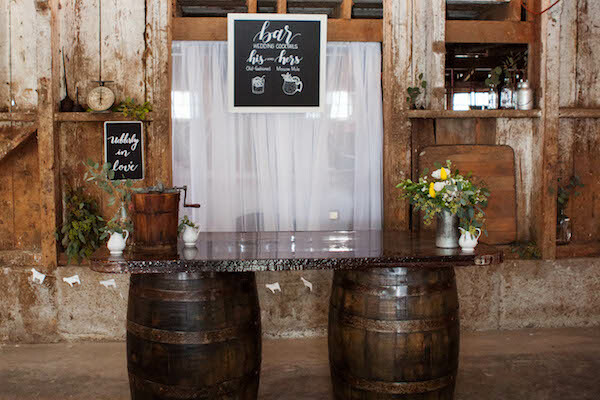 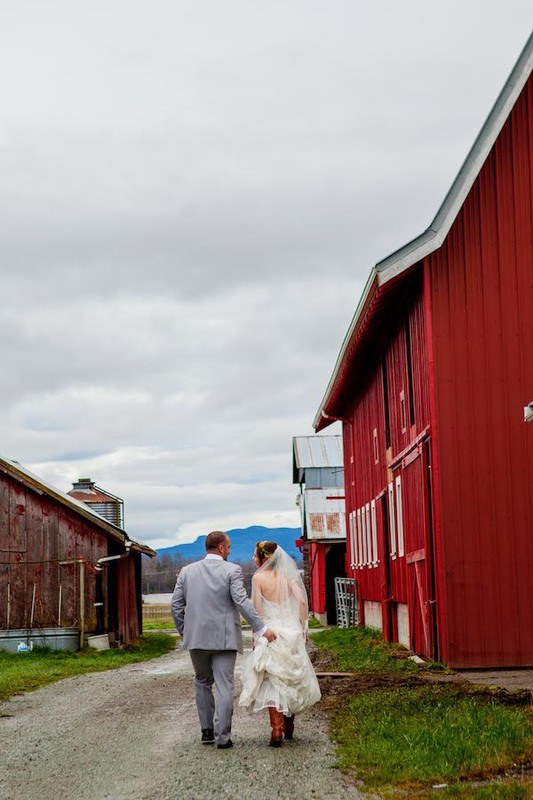 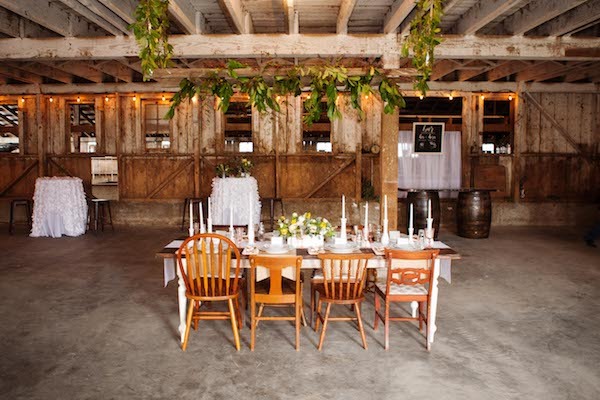 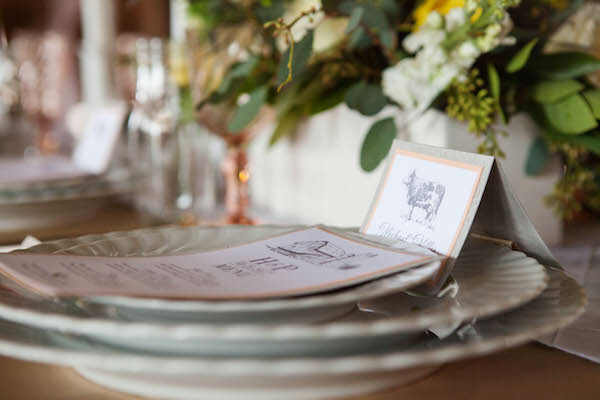 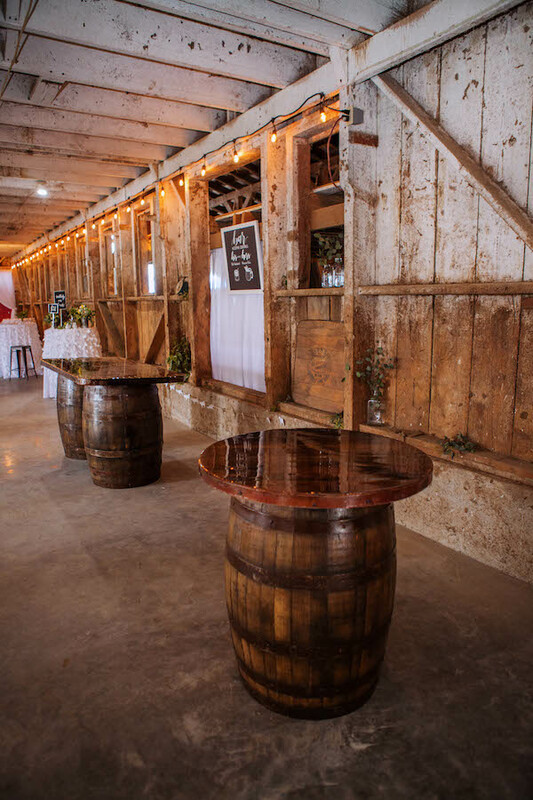 This dairy barn inspiration shows the versatility of a picturesque not-so-typical venue and how you can use it to create a memorable wedding. 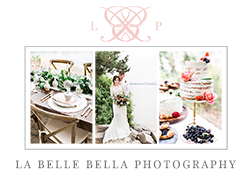 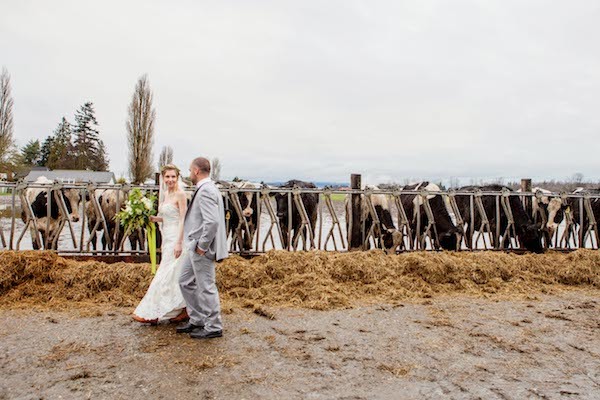 Try tying in custom elements that give a nod to your unique venue, like the cows featured throughout this shoot. 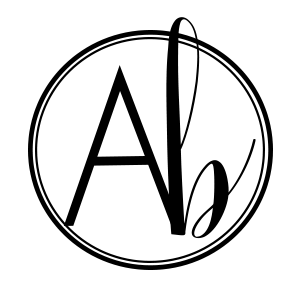 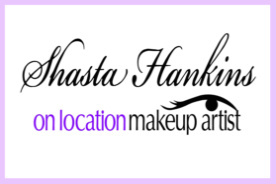 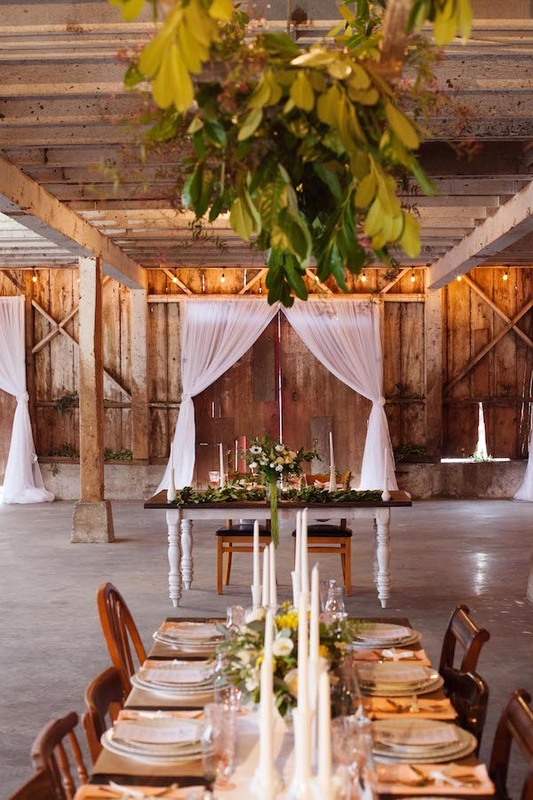 Or go for a minimalist approach and let the beauty of the location speak for itself! 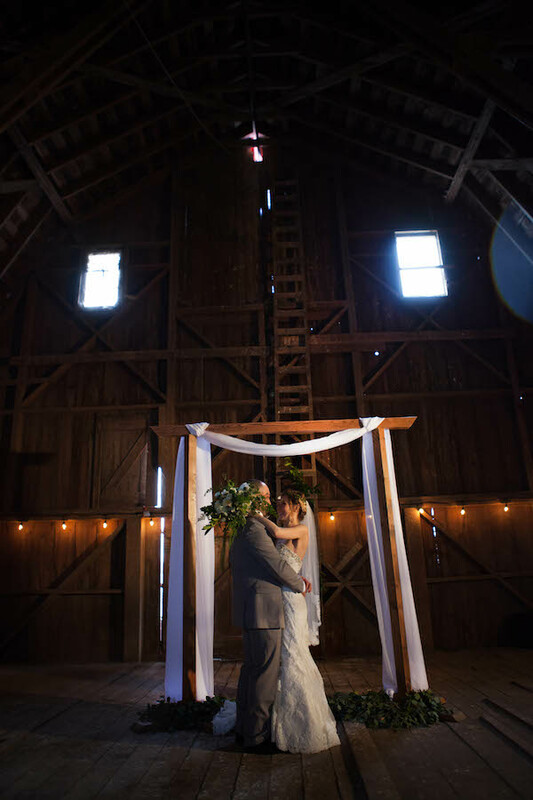 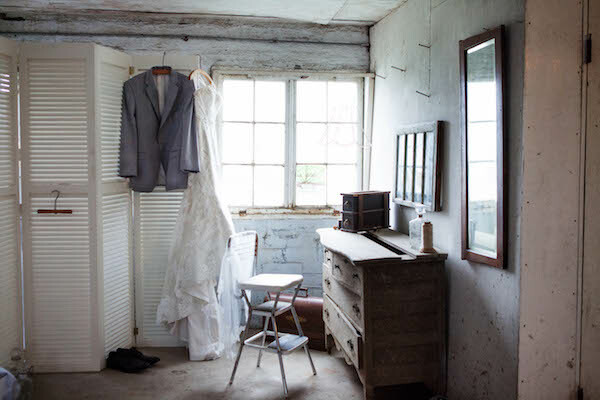 From the coordinator... "I have a love for things in their natural state and this barn was no exception. 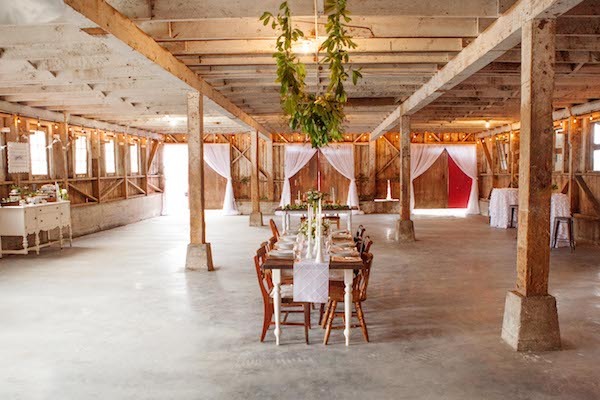 The thing that made this barn so unique, is it was still in it’s natural state and right at the transition stage of going from a Dairy Barn to a Wedding Venue. 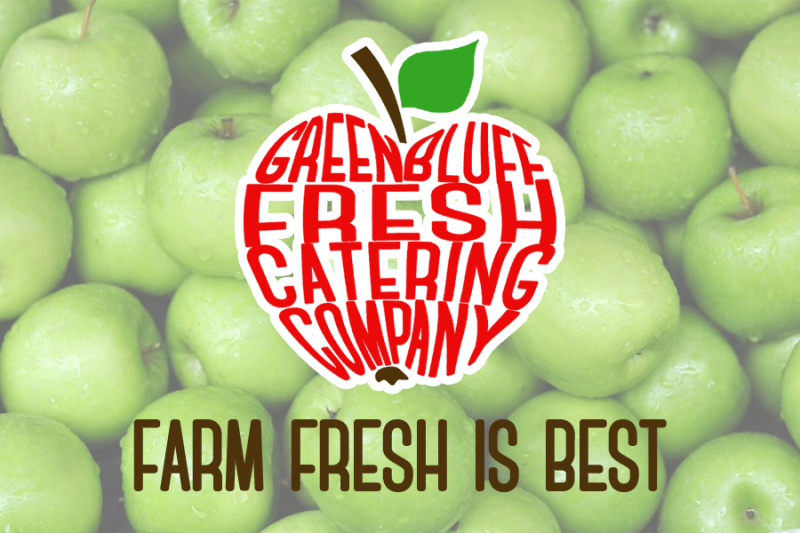 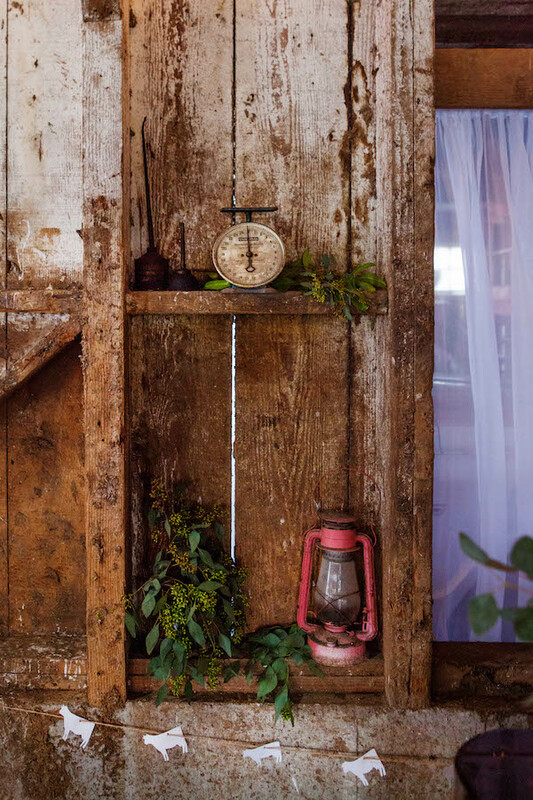 Many of the items used in the shoot were re-purposed from the farm. 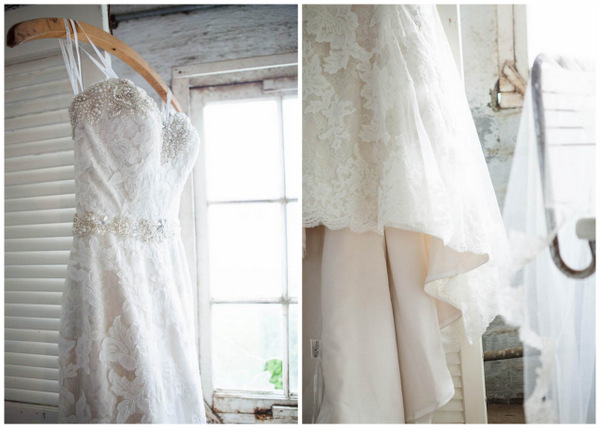 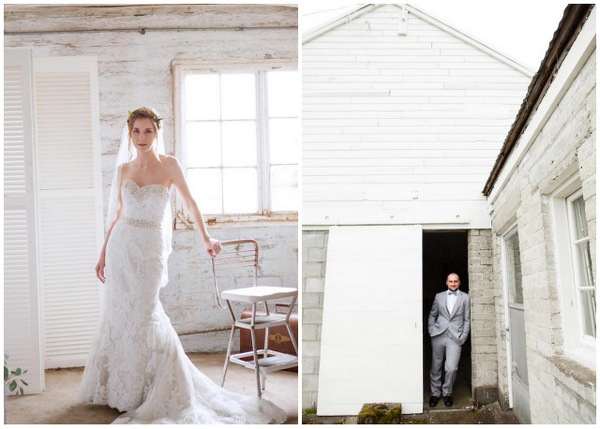 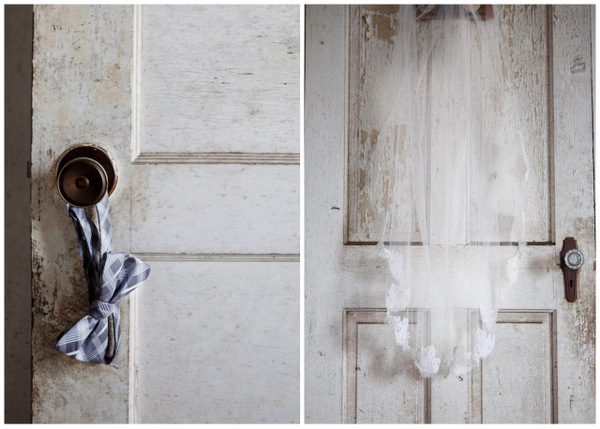 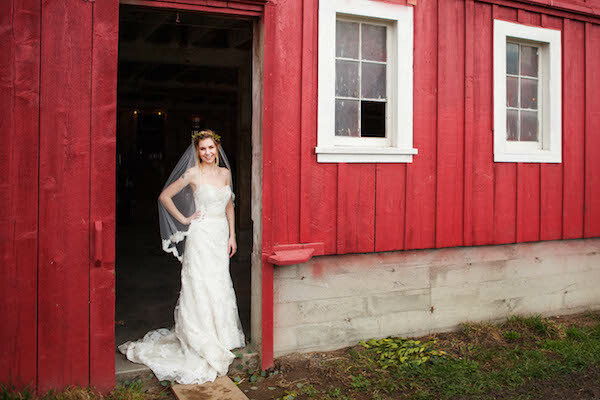 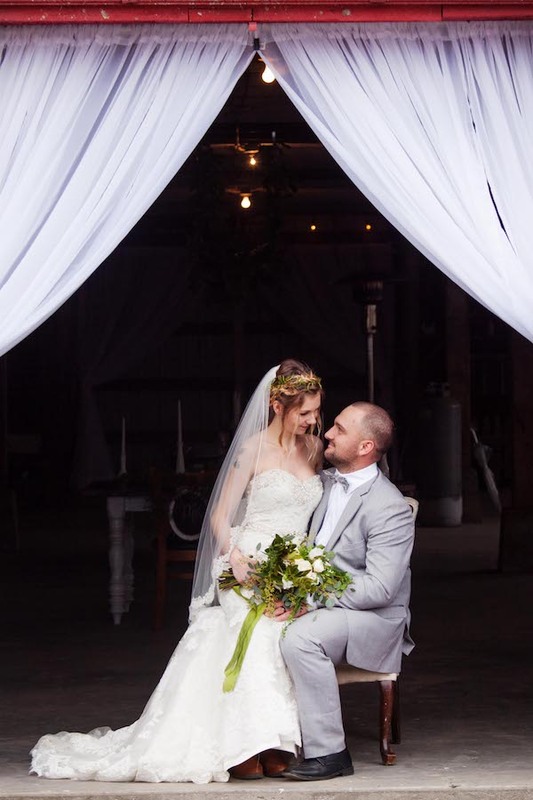 My inspiration for this shoot was the white washed ceiling of the lower level of the barn. 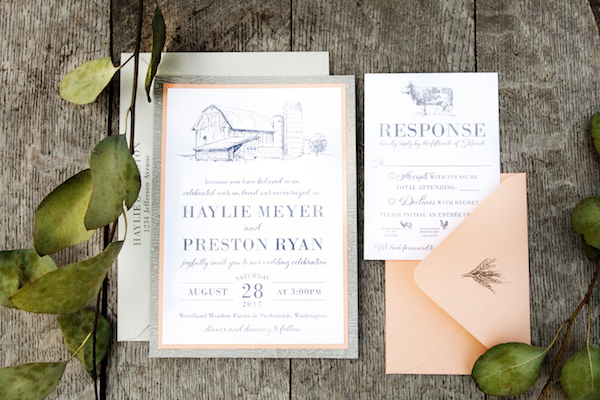 The color palette played off of that natural white wood look, with a few touches of yellow and peach in some design aspects."